Coresonant designs Student RFID Tracking system which provides solution for education industry for automated canteen management, automatic student attendance and library automation. Offered Student RFID Tracking is manufactured by quality tested raw materials and are used by many educational institutions. Now a day RFID Tracking is one of the most demandable technologies to ease out the processes and operations that can be used in any field. 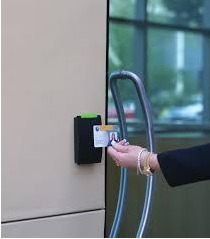 In various fields RFID can be used for tracking such as library management, asset management, healthcare management, logistics and many more. These systems of our company are made by skilled professional. And also you can get this product at market leading price from our company.